Neem Wood Spice Bowl by The Village Experience, India- This bowl is made of neem wood and is incredibly smooth. This spice bowl can be used for just about anything but I've chosen to use it for the sea salt that also arrives in this box. 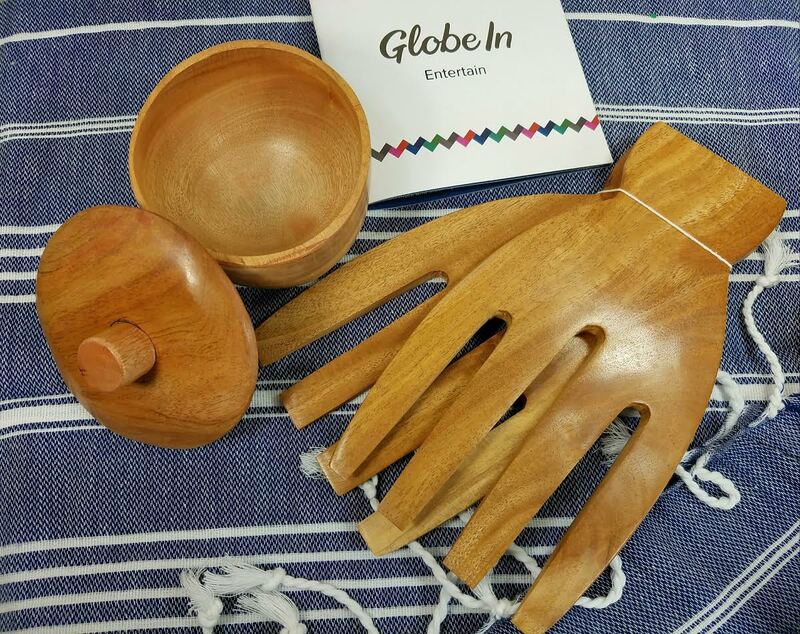 As a side note, the GlobeIn order for these spice bowls increased The Village Experience's revenues by 23%. That is a BIG difference! And by purchasing of these boxes, you become a part of that. Neem Wood Salad Grabbers by The Village Experience, India- Made by the same cooperative as the bowl, these are perfect for tossing salads! These are more fun and work better than just tossing it all with a fork and a big spoon like I used to do. Woodworking women who are part of this collective are able to work from their homes so they can also take care of their children. It's a perfect combination that allows mothers to earn wages to support their families. Kitchen Towel by Ark of Crafts, Turkey- This towel is woven on a loom in Buldan. 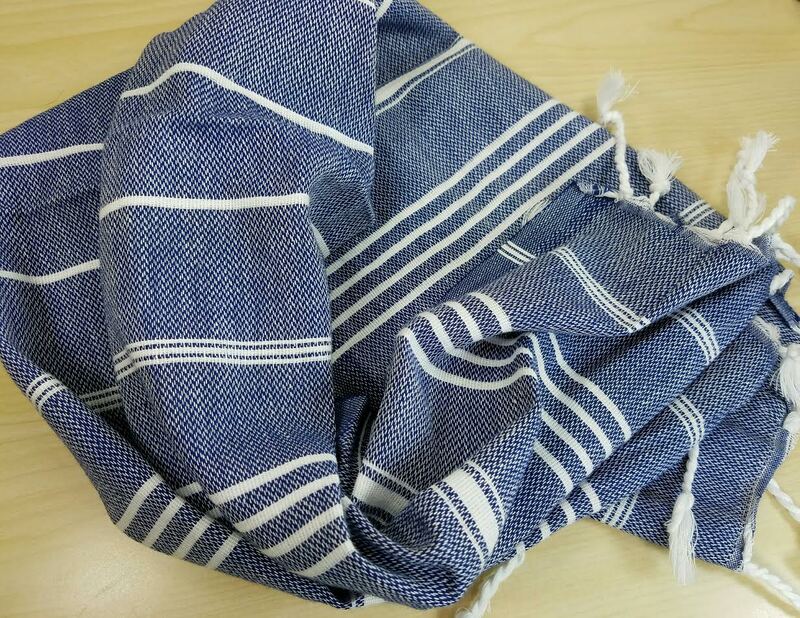 Weaving is a tradition that has been handed down since the days of the Ottoman Empire. While it was usually men who use the hand loom, Atlas, an organization of weavers, enables women to earn a living by weaving, not just men. This is soft and beautifully made. I love it! 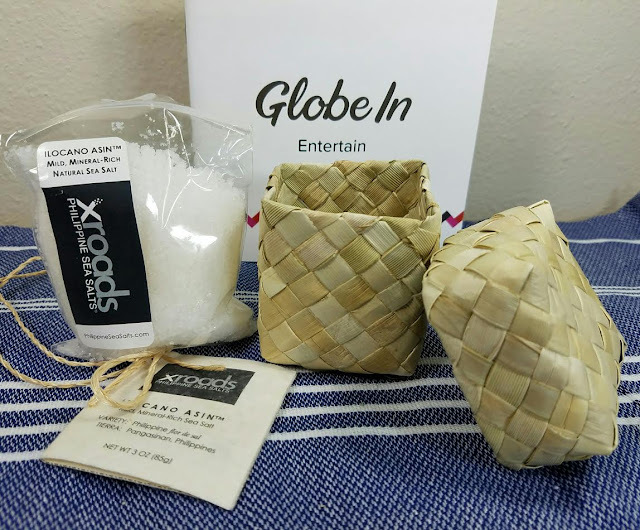 Ilocano Asin Sea Salt by Xroads, Philippines- Since I have a special place in my heart for the Philippines, I love seeing support for their products in GlobeIn. This salt was hand-harvested off the coast of Luzon. The hollow crystals have a crunchy texture and their flakiness means they melt beautifully over your dish. I've become a big fan of this style of salt and it's the only type I use for seasoning now. 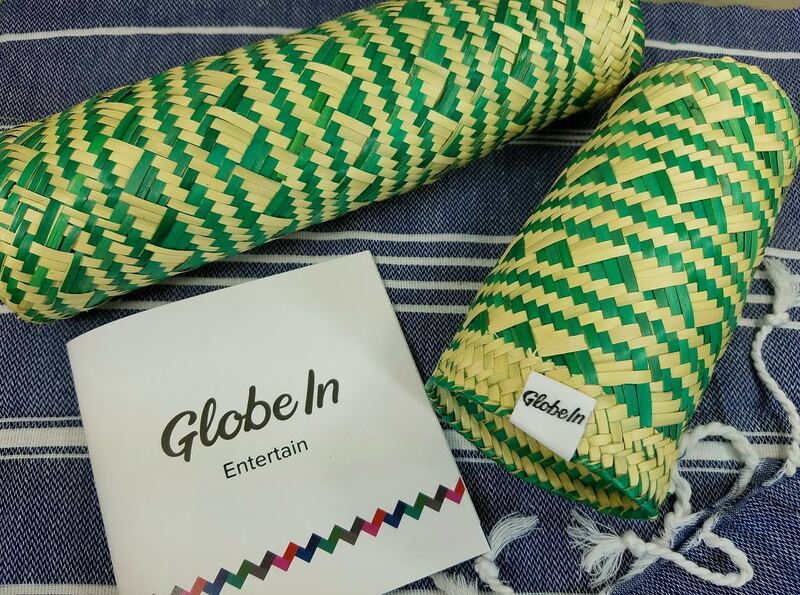 The woven box is also made in the Philippines and is made of the romblon plant. It's made by women weavers on the tiny island of Cabilao and is a great, eco-friendly container. Palm Leaf Bottle Basket, Mexico- This woven basket is made in Oaxaca, Mexico for GlobeIn. Weavers earn a living wage and are able to support their households on their earnings. This is supposed to be for wine but I found that really only a bottle of dessert wine will fit so I use it for silverware when we go camping. 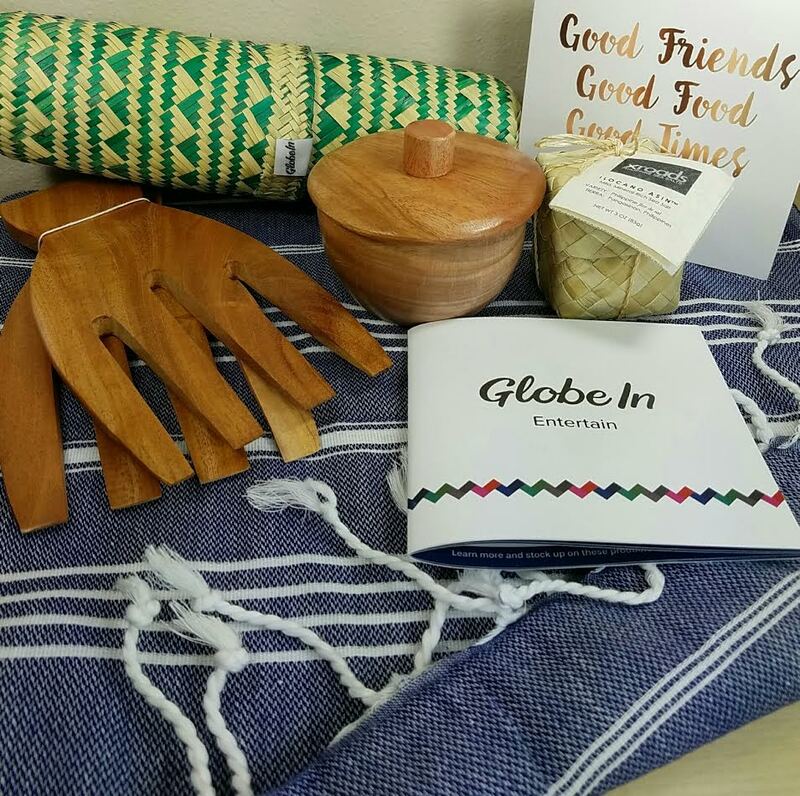 VERDICT: One of the things I love about the nature of this subscription is that everything is made by a real person and by purchasing GlobeIn subscriptions or products, you are supporting life in areas where it is hard to get by. Having traveled to more than one third world country, I have seen what families are up against in struggling areas. While we were there to provide humanitairan aid, GlobeIn does one better and supplies work and wages for those who are willing and able. It's a wonderful thing to be a part of. Not only that but you get unique, hand-crafted pieces that aren't easy to come by. If you love this style of products, you're going to love this box every month. If you would like to purchase this Limited Edition "Entertain" box, you can do so here. It is a $50 one time purchase (regularly $70) or if you would like this box AND you want to subscribe, you can do that. You'll get the Entertain Box for $35 and I believe your first month will be the December box. If you just want to subscribe, you can do that, too! Use code WELCOME for $10 off the purchase of a 3 month or longer subscription. What sort of things would you like to see in GlobeIn? Any countries you'd like to see represented?